It is always good to see a generous promotion aimed at travellers in economy rather than premium classes. 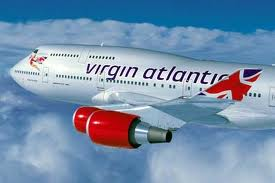 Virgin Atlantic has just launched a deal offering double Flying Club miles on selected routes until the end of 2014. The promotion only applies to flights in economy. The following routes are included: New York, Boston, Washington, Miami, Shanghai, Tokyo, Hong Kong, Delhi and Lagos. For a flight to Tokyo, for example, you would now earn an impressive 24,880 Flying Club miles for a return instead of the usual 12,440. I would value those additional miles at £100-£125, so it might be enough to swing you towards selecting Virgin instead of the competition. You need to register for this promotion by visiting this page on the Virgin website. Note that you must register and book your flight by 30th November even though you can travel at any point up to 31st December. In theory flights booked before November 1st do not qualify but I would still register just in case. There is no limit to the number of flights on which you can earn the bonus. Given that Virgin flights generally require fewer miles and lower taxes than equivalent BA reward flights, why do you value Virgin miles lower than Avios? The additional miles is valued at approximately 1p in the article, that seems consistent to Avios to me. For business class travel the taxes are not lower. I have an economy flight to new York booked already within the travel period, fingers crossed!